It all started in Paris in 2009, when pianist Mathieu Bélis and flautist Guillaume Barraud played together for the first time in an improvisation. The great complicity they instantly felt inspired them to meet again and start writing music with a unique approach combining Eastern and Western concepts, tradition and modernity. It was the following year that Iranian percussionist, singer and composer Mossy Amidi Fard joined the project whose singularity blossomed as its diversity was giving rise to a musical combination of tremendous intensity. Intricate piano melodies intertwine with the chant of the flute and Sufi trance rhythms. 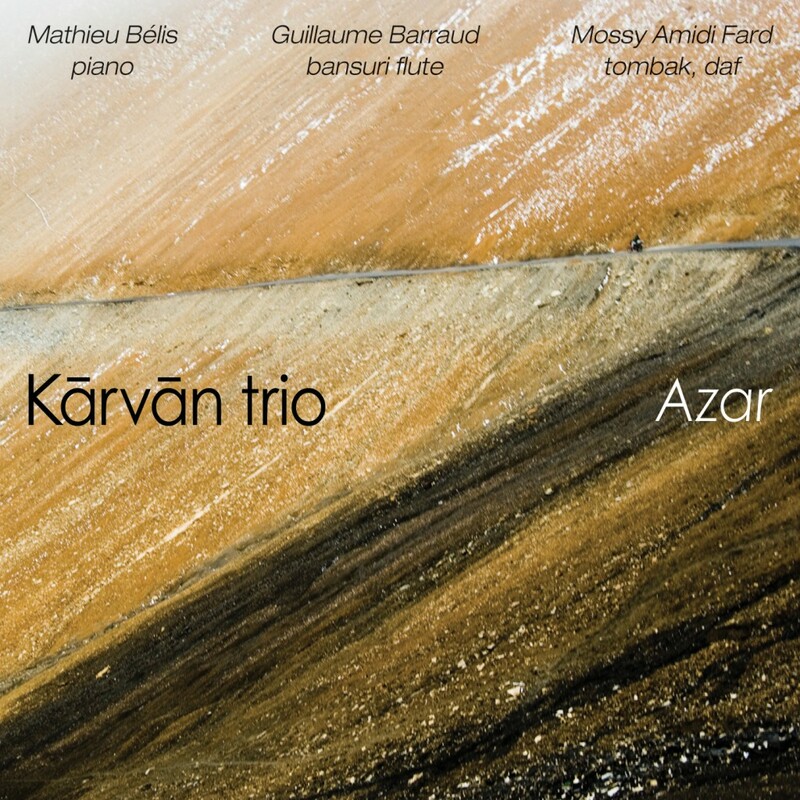 Mathieu Bélis, Guillaume Barraud and Mossy Amidi Fard have fully recaptured the Art of trio. → new album in the making ! It all started in 2009, when pianist Mathieu Bélis and flautist Guillaume Barraud played together for the first time during a jam session in Paris. The beautiful complicity they instantly felt inspired them to meet again and start writing music with a unique approach combining Eastern and Western concepts, tradition and modernity. It was the following year that Iranian percussionist Mossy Amidi Fard joined the project whose singularity blossomed as its diversity was giving rise to a musical combination of tremendous intensity. Intricate piano melodies intertwine with the chant of the flute and Sufi trance rhythms. Mathieu Bélis, Guillaume Barraud and Mossy Amidi Fard have fully recaptured the art of trio. → NEW ALBUM IN THE MAKING . . .